I'm originally from Singapore and have been living in Thailand for the past 25 years. We are stationed and operating out of Bangkok. Fishing has always been my passion. I love meeting anglers from all over the world. I specialize in freshwater fishing in Thailand and love to introduce visiting anglers to native Thai fish like Giant Snakehead, Featherback, Giant Mekong Catfish, and Giant Siamese Carp. 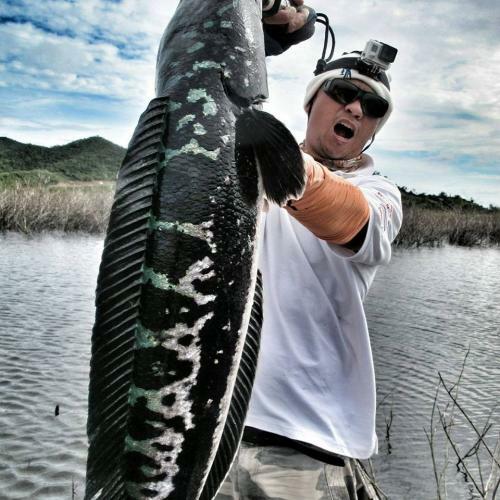 Currently, I'm the IGFA world record holder for Giant Snakehead. It weighed 26 Ib. If you are on vacation in Thailand, do drop by Bangkok and book a fishing trip with us. We can tailor a fishing package lasting a day or a few days to suit your holiday in Thailand. We'll make sure you and your friends have an awesome fishing experience with us. Thank you!